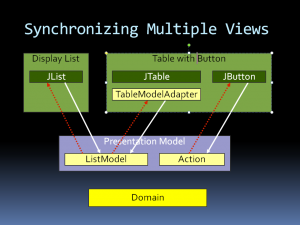 The free JGoodies Binding synchronizes object properties with Swing components. And it helps you represent the state and behavior of a presentation independently of the GUI components used in the interface. 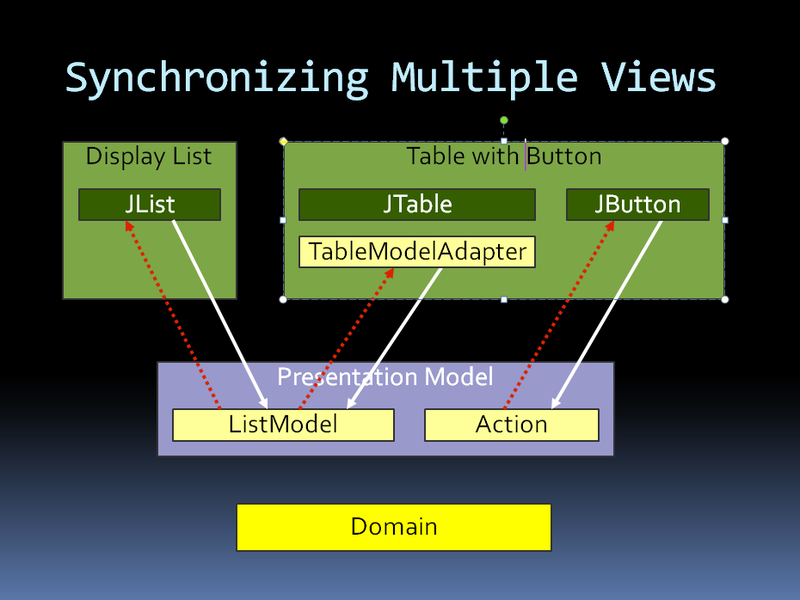 The Binding works well with Presentation Model, Model-View-Presenter (MVP), and other desktop patterns. The Binding has been inspired by the VisualWorks ValueModel hierarchy, the PresentationModel pattern, and the Java Beans standard.